Here's a complete setup for phishing your consenting friend's password! If you just want the code hop over to Glitch. Please note this code is for educational purposes only. I started off with building the form. 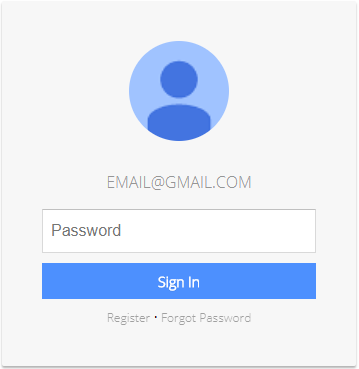 The form is designed to look identical to a google login form. Navigate to https://google-phishing.glitch.me/get_log to see the collected passwords. Why do people fall for this? Most of us see the Google logo and feel safe. A domain like accounts-google-sign-in-appspot-com.glitch.me/… at a glace looks official. Naturally, we want to login to access our data. Whatever you do with this, I hold no liability.